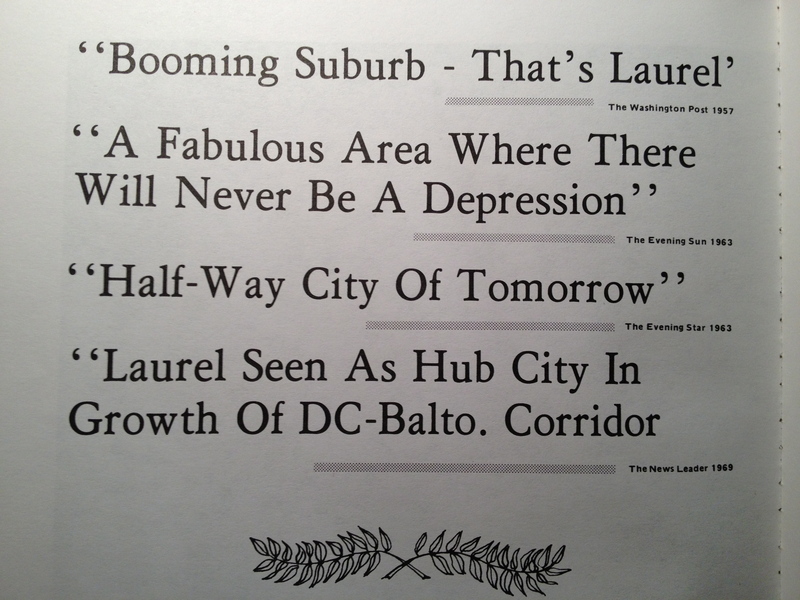 In “Ripped from the Headlines: Laurel in the News,” the current exhibit at the Laurel Museum, there’s a panel in the Disasters section that covers the tornado that wreaked havoc through the Fairlawn neighborhood and beyond in September 2001—less than two weeks after 9/11. Remember, this was a town already on edge after learning that some of the hijackers had stayed in Laurel… and then a tornado literally blew through. 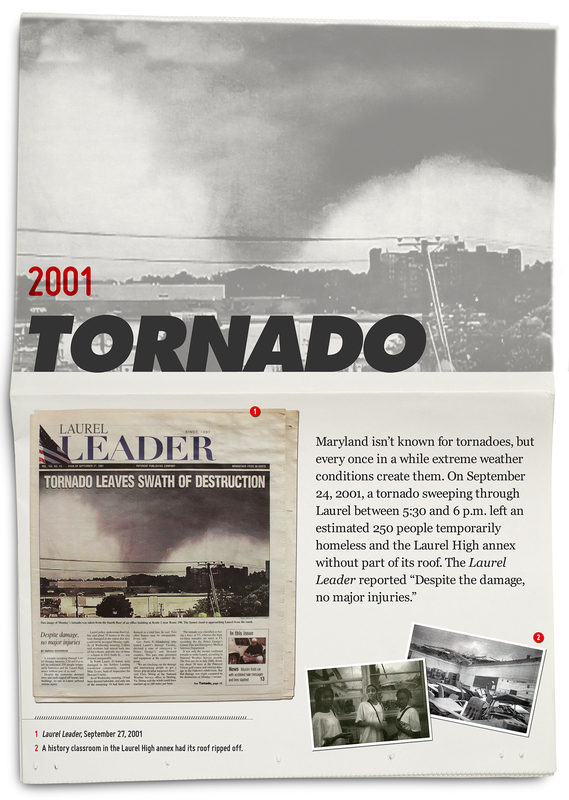 The panel features the cover of that week’s Laurel Leader, which included a stunning image of the funnel cloud moving just beyond Laurel Shopping Center and the Middletowne Apartments high rise. 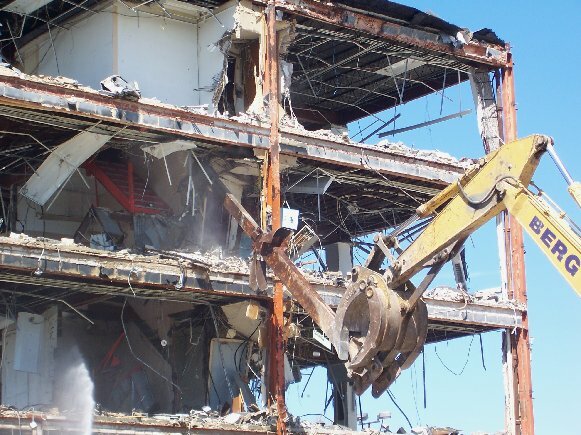 The image wasn’t a photograph, but a video still from footage shot by Brian Alexander—shot from the fourth floor office of the former American National Bank building, which was demolished in 2012 to make way for a new Walgreens. Until today, that was the only image I’d ever seen of the tornado itself, although there are plenty of photos of its aftermath. The tornado briefly reached the F3 category, with winds up to 160 mph. 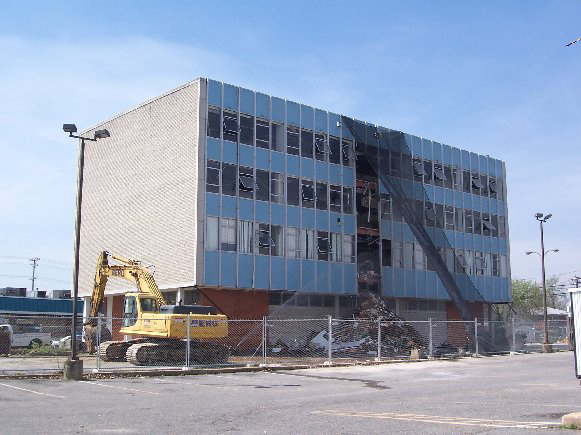 Laurel was fortunate that there were no casualties that day, although there was plenty of damage—portions of roofs were blown off Laurel High School, and the historic Harrison-Beard Building at Montgomery and Ninth Streets was nearly lost; one house along the 1000 block of Tenth Street was completely destroyed. As yet another September is upon us, it’s hard to believe it’s been 14 years since this happened. And it all came back vividly today when Steve Jones sent me the following footage—these appear to be the actual Brian Alexander video clips themselves, as well as some bonus footage of the aftermath. 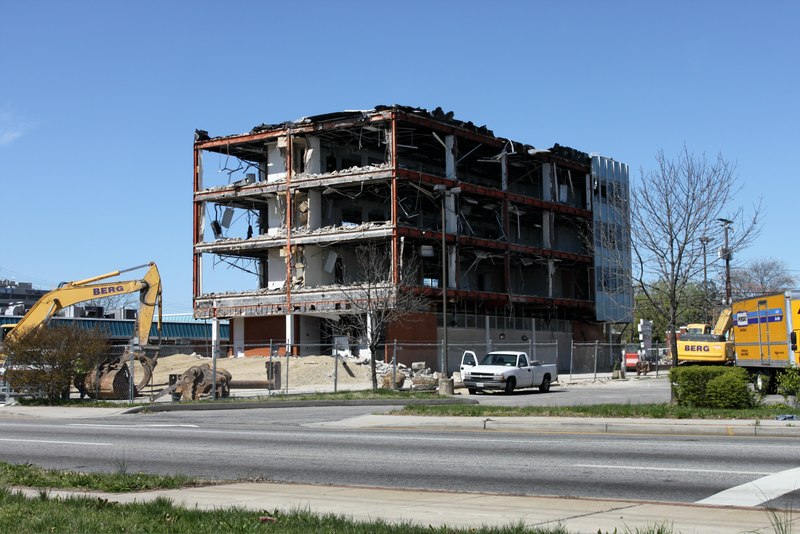 Driving through Laurel this morning, I wasn’t sure if the old blue American National Bank building would still be standing or not. It was, but the view was quite different… I could see through half of it. 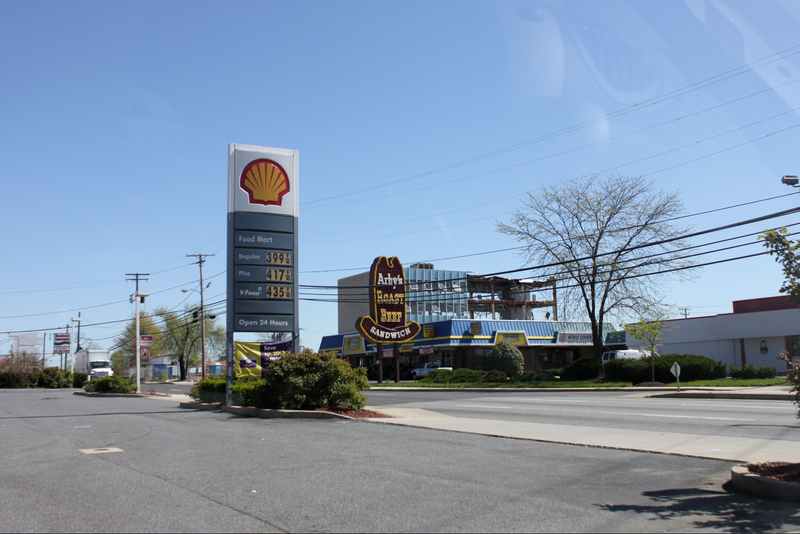 Although, admittedly, one almost doesn’t even notice the building with those gas prices, but I digress. 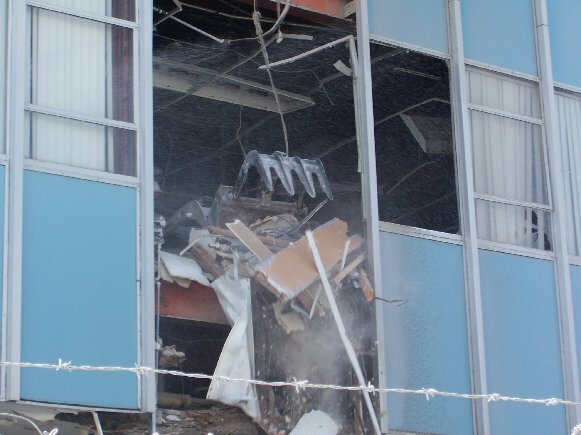 The old blue building just north of Gorman Plaza is finally coming down. 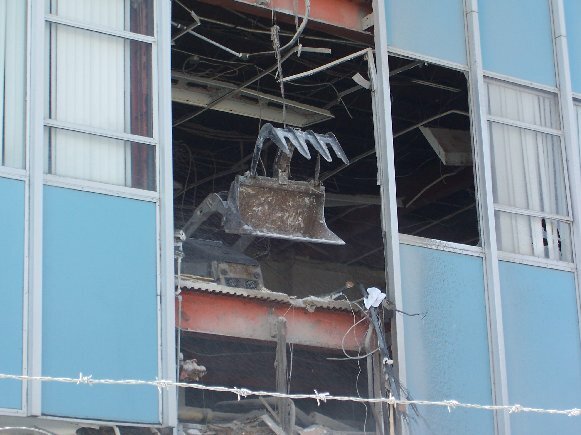 Originally the American National Bank building, it’s been vacant and doomed for some time now; but last week, demolition began in earnest—starting from the inside out, apparently. 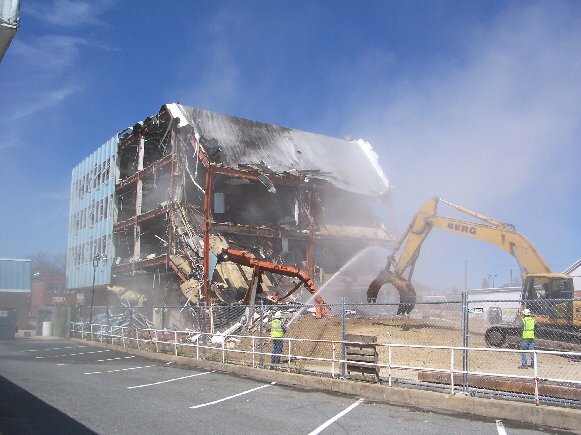 Thanks to John Floyd II for these photos that document the beginning of the end, which will likely happen this week. I can’t help but think that in another thirty, maybe fifty years from now, someone will spot a photo of this classic mid-century modern building in one of the Laurel Historical Society’s publications or exhibits (or on an antique roll of Laurel Leader microfilm still languishing in the library’s basement) and wonder, “Wow—why did they ever get rid of that? 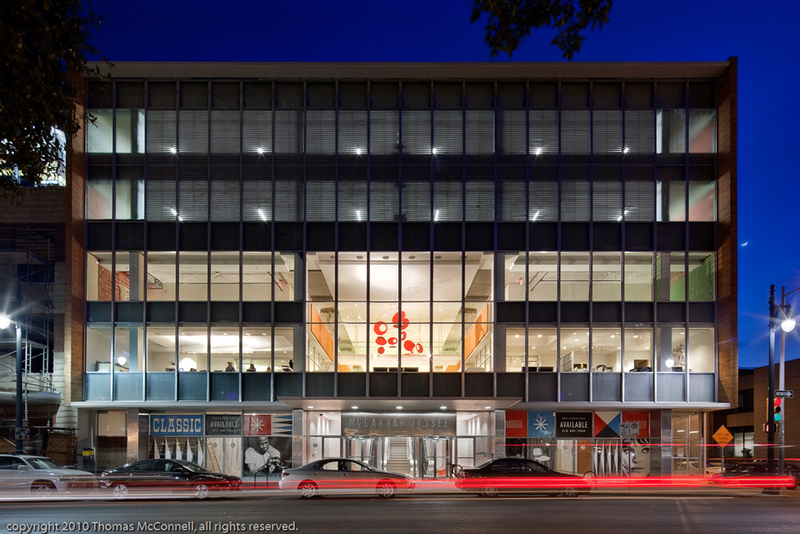 !” Odds are, the Walgreens that’s slated to take its spot won’t have quite the architectural pedigree. 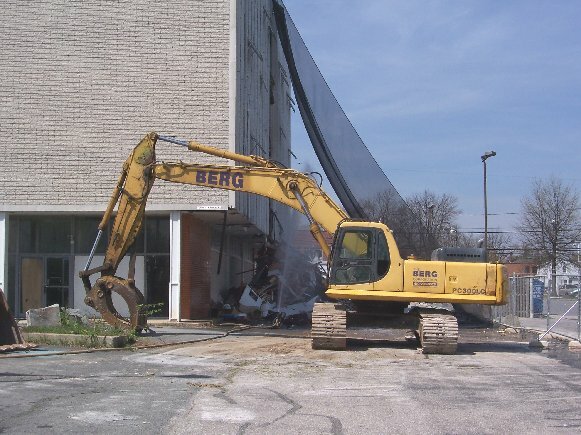 It’s not only replacing the old blue building, but the rest of the 600 block of Washington Blvd. 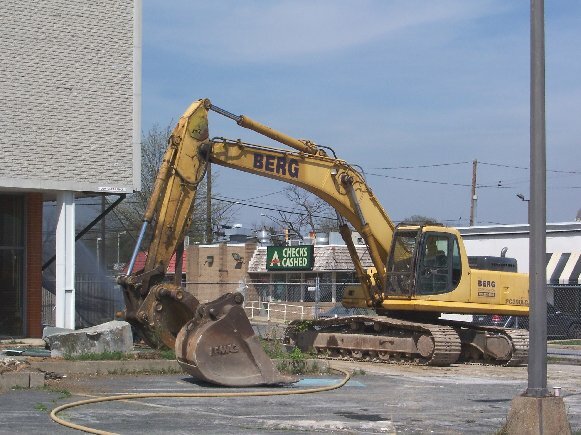 to its north—which most recently included Irene’s Restaurant (the former Kenny Rogers Roasters and Rustler Steakhouse), Mango’s Grill, and Ace Cash Express (a location that once housed Murry’s Steaks). Granted, the block has certainly seen better days. 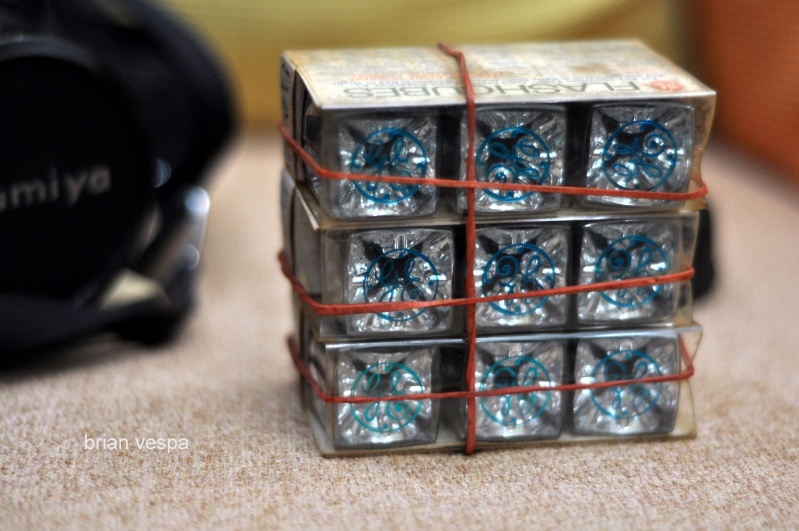 In fact, it’s seen better decades. And the new Walgreens will undoubtedly be much more aesthetically pleasing than what passing motorists have been subjected to in recent years. 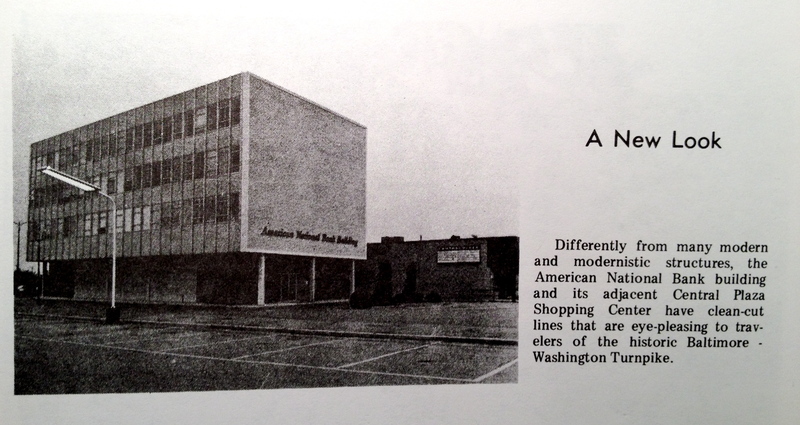 But my real question is this—why was a building like this ever allowed to become an eyesore in the first place? This kind of architecture deserves to be repurposed, not replaced. 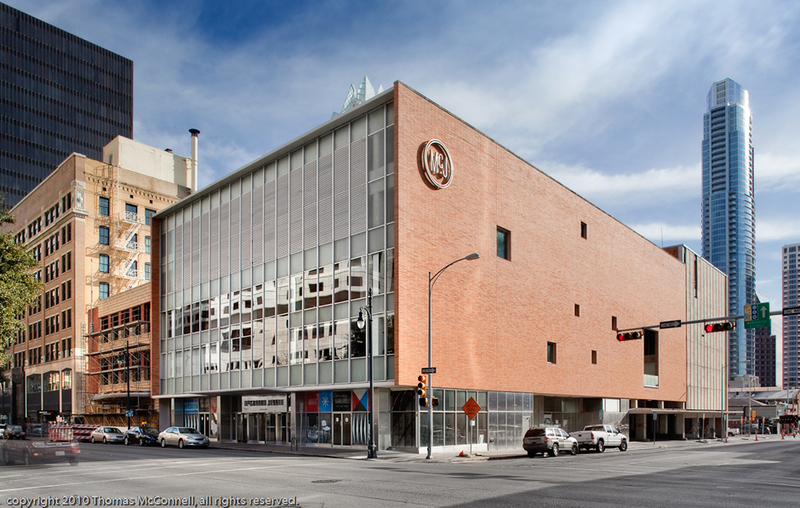 A very similar building in Austin, TX (also originally an American National Bank, coincidentally) recently survived a proposed demolition and is now enjoying a fitting new life as an ad agency. 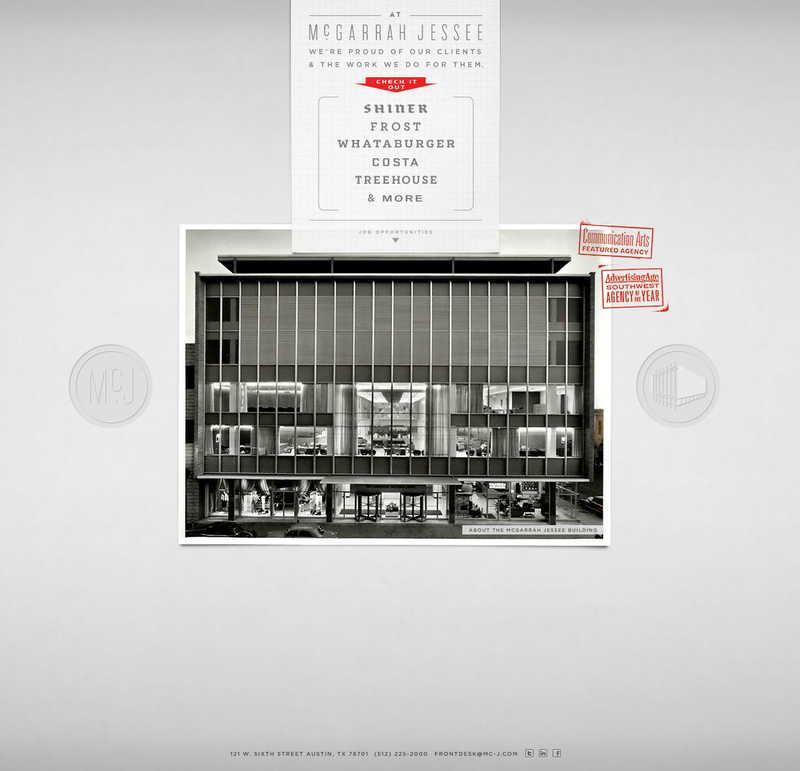 McGarrah Jessee absolutely showcases the building on its website, as it should. 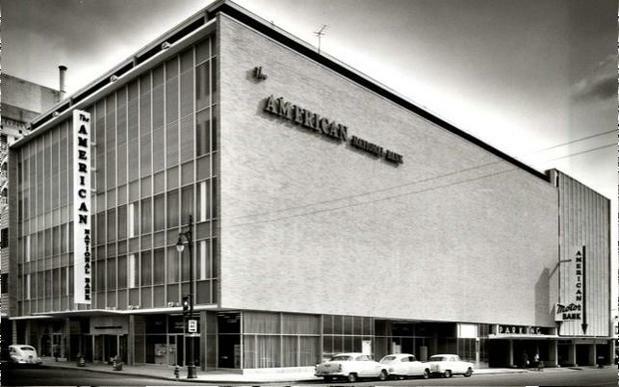 They include a fascinating video piece highlighting its unlikely history… an arc that could just as easily have applied to Laurel’s old American National Bank building, had the right minds been in place. And it has. Kudos to all involved. 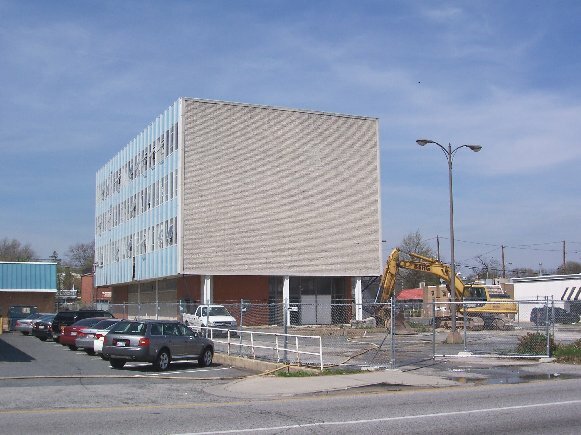 When I first heard of plans to demolish the Laurel building (and that entire block) for a Walgreens, I wasn’t surprised. 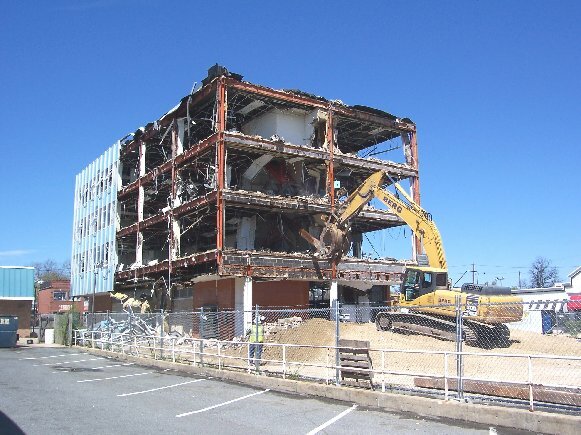 But it made me wonder why the city of Laurel (or Prince George’s County, or even the state of Maryland, for that matter) apparently never considered stepping in when the building began to slide into decline—over ten years ago. 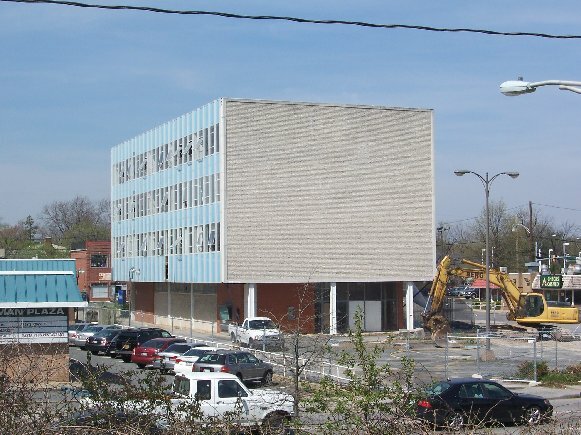 At a time when the city itself was outgrowing its own municipal buildings, did no one see the potential that lay within this distinctive blue building in the center of town—one of just a few spacious, vertical structures in the city limits? At some point during its decline, you think the city would’ve at least considered how they might have been able to capitalize on preserving it. With a proper facelift, it could’ve been any number of municipal buildings to be proud of. Think of the facilities that were already outgrowing their original spaces: the library (even after a costly expansion in 1992) and the police department immediately come to mind. 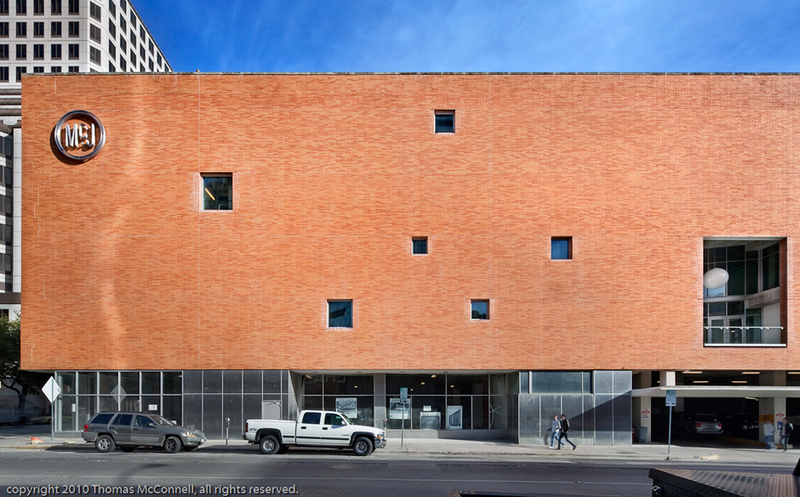 The old blue building could’ve accommodated either, and made a bold architectural preservation statement in the process. Getting back to the Starr Building comparison for a moment, perhaps you were wondering why it was called “the Starr Building”. Perhaps not, but just humor me for another couple paragraphs or so. There are just a few more parallels worth noting. 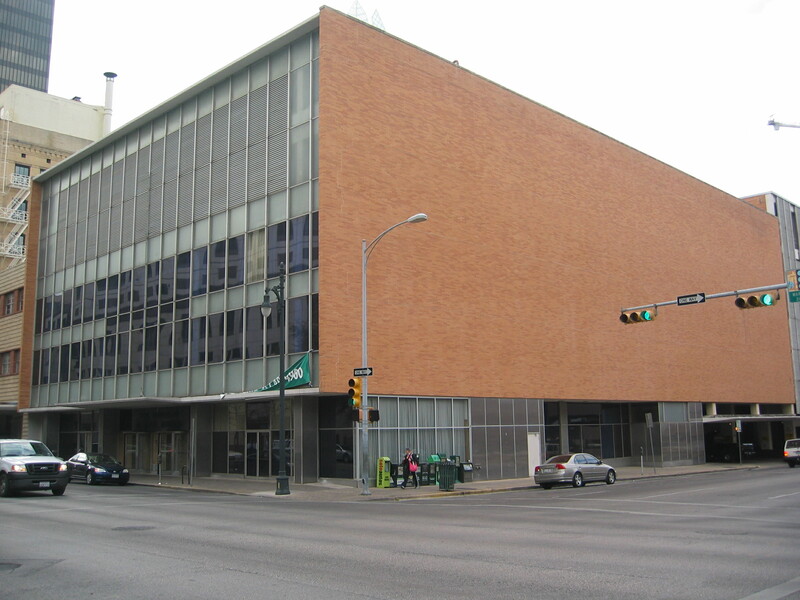 After the American National Bank failed in the 1990s, the State of Texas took over the building and made it the headquarters of the State Comptroller of Public Accounts. They christened it the Starr Building after James Harper Starr—physician, treasurer of the Republic of Texas, Land Commissioner, and banker. 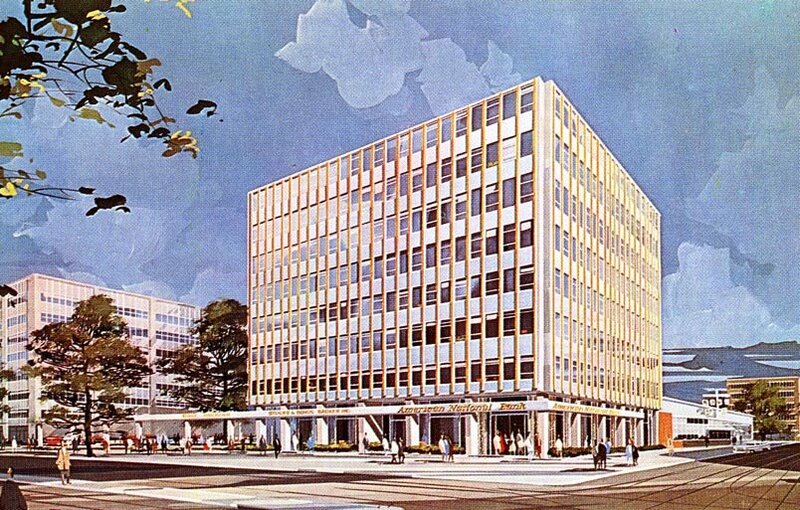 Then they did what most government agencies do to government buildings—they filled it with cubicles and bad carpet. But it got even worse. 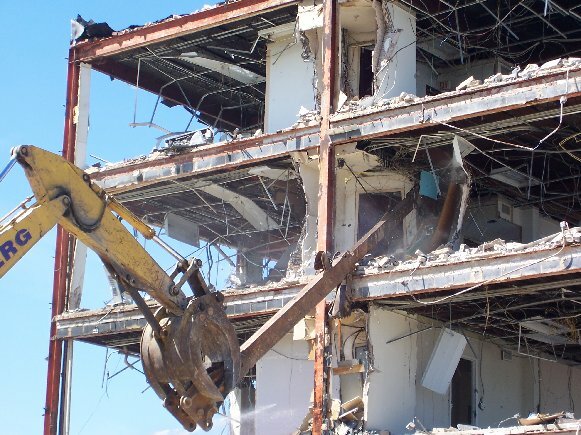 In 2005, the Comptroller’s Office moved out and gave control to the state’s General Land Office—who allowed it to sit vacant for the next four years, coming dangerously close to demolition. 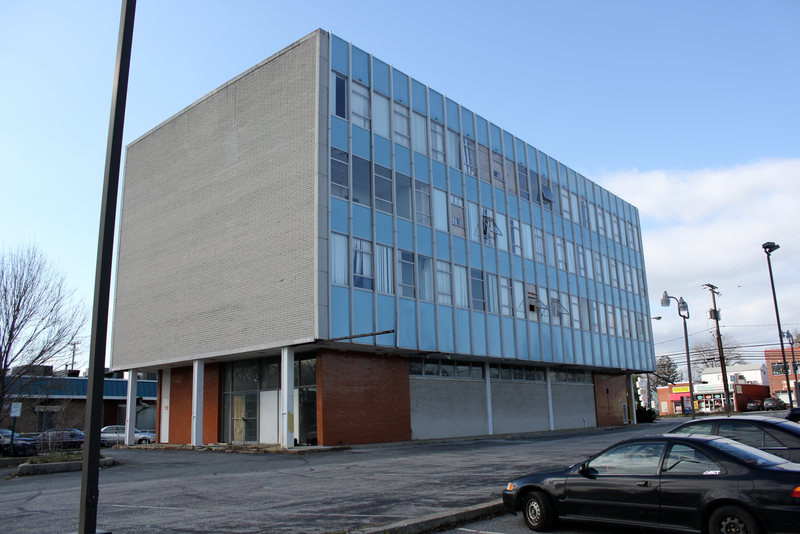 Interest in the building came and went; with most of the proposals involving tearing the building down and putting up something new. 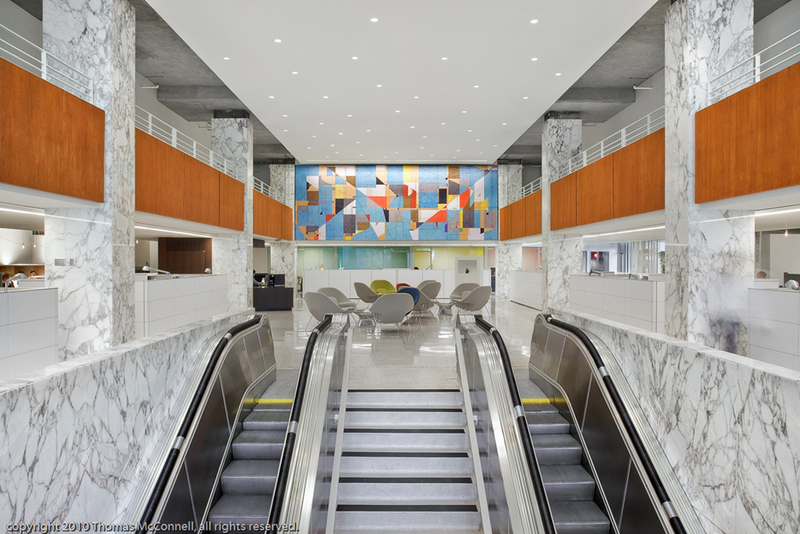 Laurel isn’t exactly Madison Avenue, of course—it’s an unlikely locale for a top-level advertising agency to base its headquarters. It’s not Austin, Texas, either. 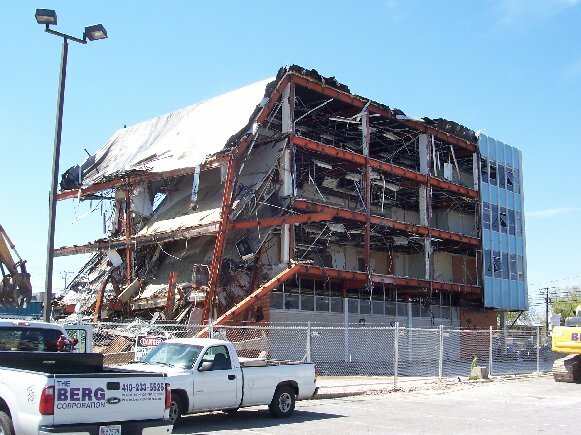 And to be fair, the state of Texas didn’t do a great job stewarding the Starr Building itself. It took a preservation society and visionary developers to recognize the potential in salvaging that building. 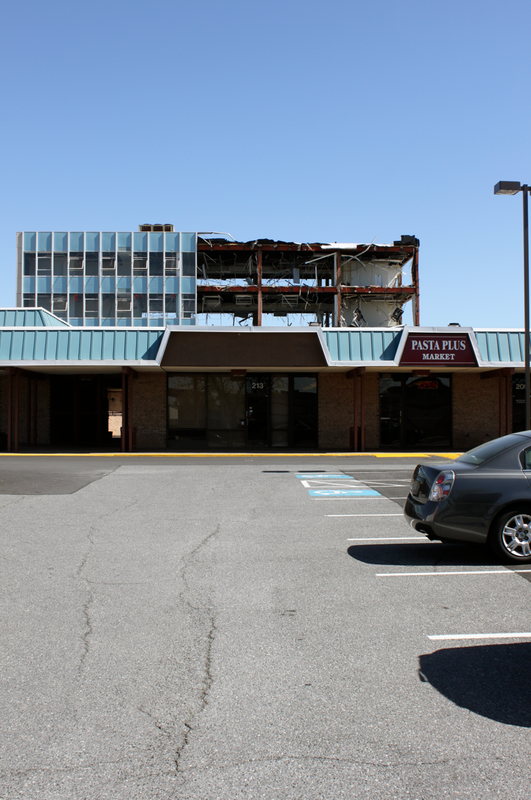 There was a time when the city of Laurel was proud of that building, and of itself.